Put down that half-liter plastic water bottle! 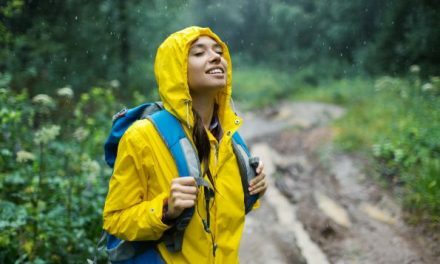 Instead, athletes on the go this summer can check out some of these novel ways to keep thirst at bay. Naked Running Band is a four-way power mesh band for hydration and accessories that fits around your waist. It’s light, breathable, non-chafing, bounce resistant and versatile, with four individual pockets that open with pull tabs and elastic jacket loops in the back. Simply put your feet through the continuous loop band, slide it up and over your hips and go. 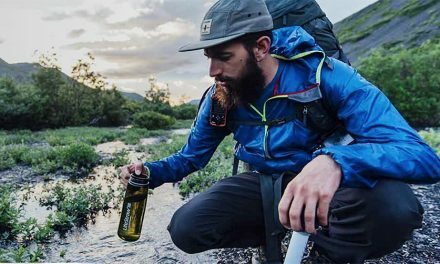 The company was founded by brothers Lindsay Dakota and Rick Petersen, one an ultra trail runner and the other a triathlete. 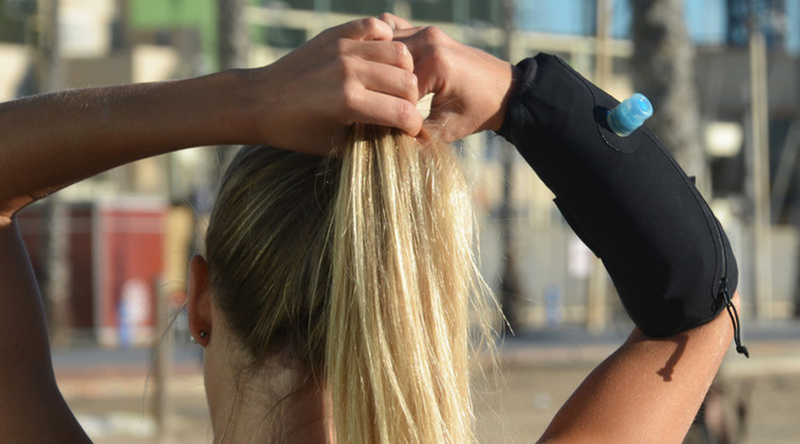 Wetsleeve teamed up with Development Never Stops LLC (DNS), a top athleticwear design firm based in Zurich with 16 international industry design awards, to create a hands-free hydration system that balances capacity, utility and comfort. Wetsleeve incorporates a refillable 12 oz. (350 ml) liquid reservoir and is available in three sizes. Crafted from breathable, soft, water-resistant materials, it has 3D mesh lining on its underside that lets skin breathe while ensuring an elastic, firm and streamlined fit. It also incorporates two built-in pockets for carrying personal belongings like cards, keys or headphones. The SmartShow Mug, according to its Indiegogo page, is “the world’s first intelligent water mug that tracks your hydration, water purity and consumption.” Combined with an app, it gathers your body metrics – based on age, gender, weight, height and lifestyle – and tracks your hydration level to help you optimize every workout, training set and race. The mug then prompts you in real-time, alerting you to exactly how much fluid you need and what type of performance boost you can expect. And with a WiFi chip embedded in the mug, you can shake your mug to remind family and friends to drink water.